Toyota's U.S. operations have requested increased autonomy and voice in decision-making regarding product quality. 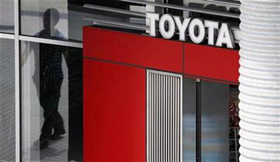 TOYOTA CITY, Japan -- Toyota plans to expand its quality effort in the United States and Canada by staffing seven field offices with technology and engineering specialists who will investigate customer complaints, the automaker said here today. The change will take place over 12 months and will be separate from Toyota's Swift Market Analysis and Response Teams (SMART), which have been scrutinizing claims of unintended acceleration. Each field office will have three to five additional engineers. Regions also will have specialties; the New York office, for example, will focus on corrosion issues. The bolstered field staff is part of the larger global quality push by a company battered by recalls and allegations of runaway vehicles. Since last fall, Toyota has recalled 10.8 million vehicles globally. Toyota's U.S. operations have requested increased autonomy and voice in decision-making regarding product quality, said Dino Triantafyllos, regional product safety executive for Toyota Motor Engineering and Manufacturing North America. The field staff will accelerate the reporting process of quality problems to Toyota headquarters in California and Japan. Sources within Toyota's U.S. operations have complained that Japan has not reacted quickly enough to complaints from regional affiliates. Toyota also is increasing the number of avenues through which it collects data regarding quality glitches. The automaker previously relied mostly on warranty claims and queries to the company's call center. Now Toyota will monitor NHTSA filings, legal filings, e-mails and social media. It also will scrutinize reports from J.D. Power and other independent monitors of quality, Triantafyllos said.